Company Overview - Guangzhou Jalon Power Co., Ltd.
9YRSGuangzhou Jalon Power Co., Ltd.
Guangzhou Jalon Electronic Equipment Co., Ltd. is a manufacturer of all kinds of batteries with well-equipped testing equipment and strong technical force. 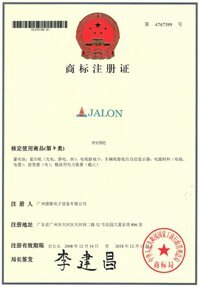 With a wide range, good quality, reasonable prices and stylish designs, our products are extensively used in UPS systems, electricity and telecommunications backup power systems, automatic control, wind and solar power systems and other industries.Our company, set up in 1997, Jalon manufactures and sells environmentally friendly sealed Lead Acid (SLA) batteries. 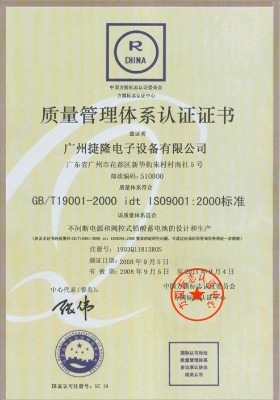 Jalon introduces and develops advanced technology, and adopts the world's most advanced production equipment and testing measures to ensure long product life, high energy density, and environmental protection features such as cadmium-free, leading the domestic counterparts.The factory is a high-tech enterprise headquartered in Huadu district, Guangzhou, China. Jalon battery has won high praise from users at home and abroad.